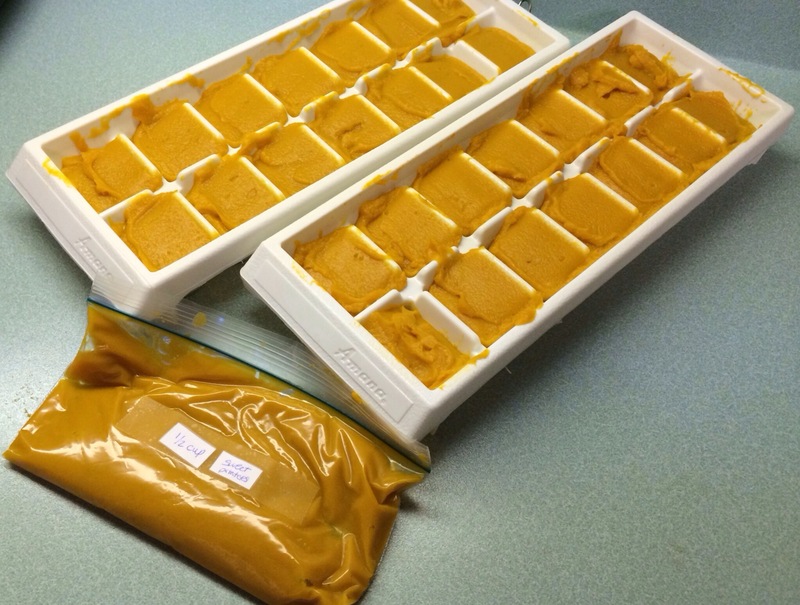 In: Purees | What's Cookin'? Well, the plan for today was to make Sweet Potato Pancakes for breakfast however, Munchkin and Monkey opted for the Pumpkin French Toast again. 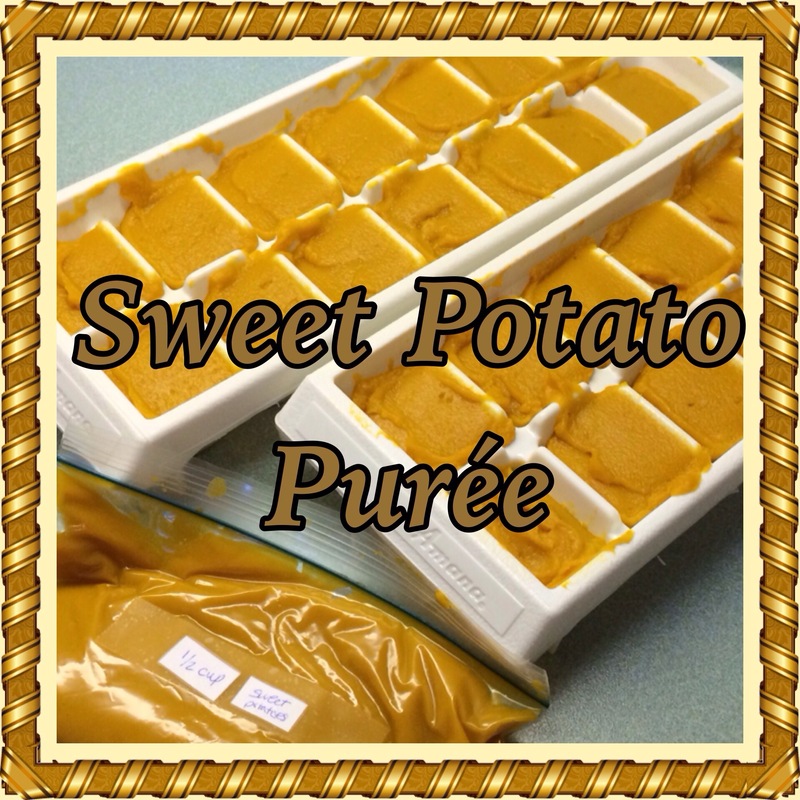 Since I had not yet replenished my stock of Sweet Potato Puree, this was fine with me! 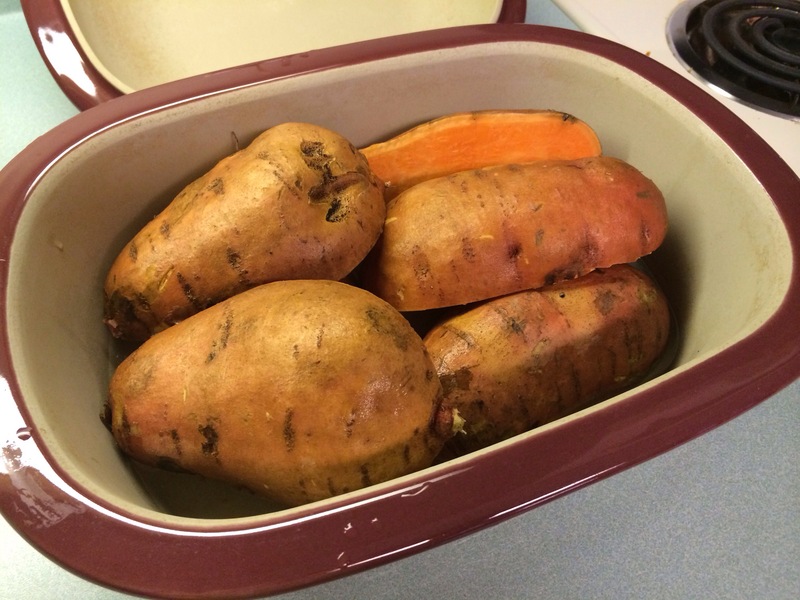 First, I fill my Pampered Chef Deep Covered Baker with scrubbed sweet potatoes cut in half or quarters (depending on the size). I then put about 1/2 inch of water in the bottom of the baker, place the lid on and microwave on high for about 15-20 minutes (for the amount you see here). 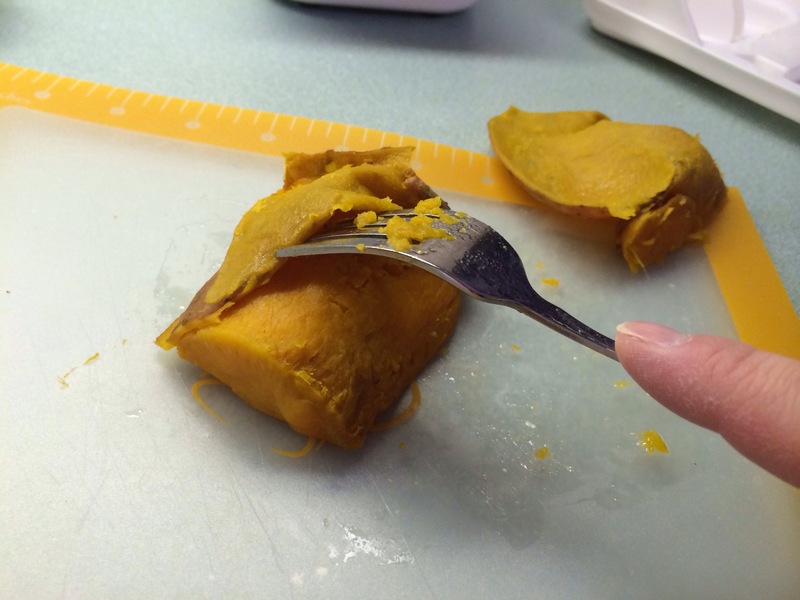 Once the sweet potatoes are tender, I peel the ‘skin’ off with a fork — it should peel right off very easily if your sweet potatoes have been cooked long enough. Once I have scooped all of the sweet potato out of their skins, I am ready to start pureeing. 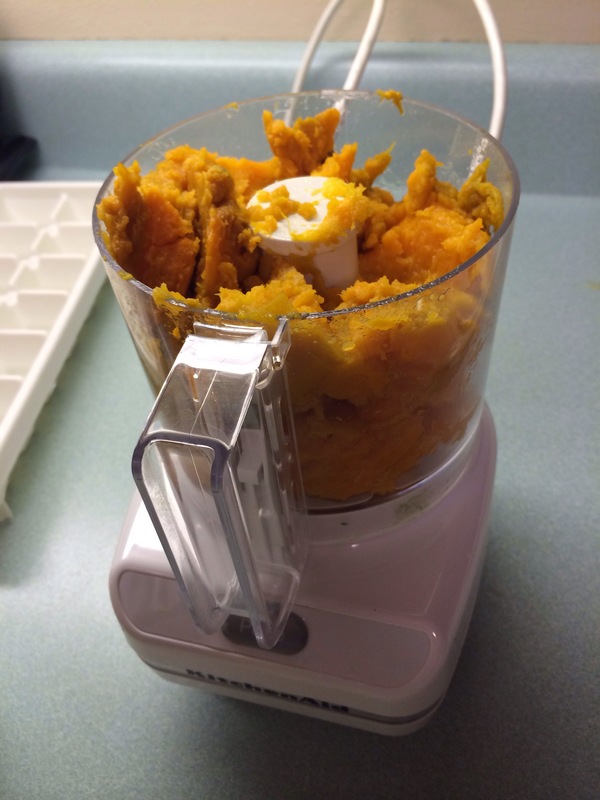 I use a small 3-cup food processor and loosely fill it with sweet potatoes. 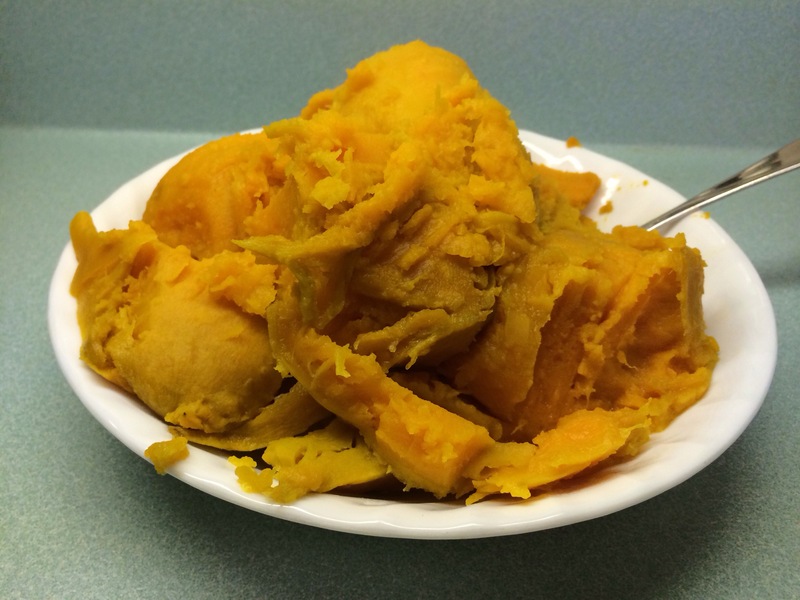 Pulse for 1-2 minutes until the sweet potatoes look like the picture below. Note: The picture on the left is what they look like initially when you take the lid off (still looks lumpy, right?). 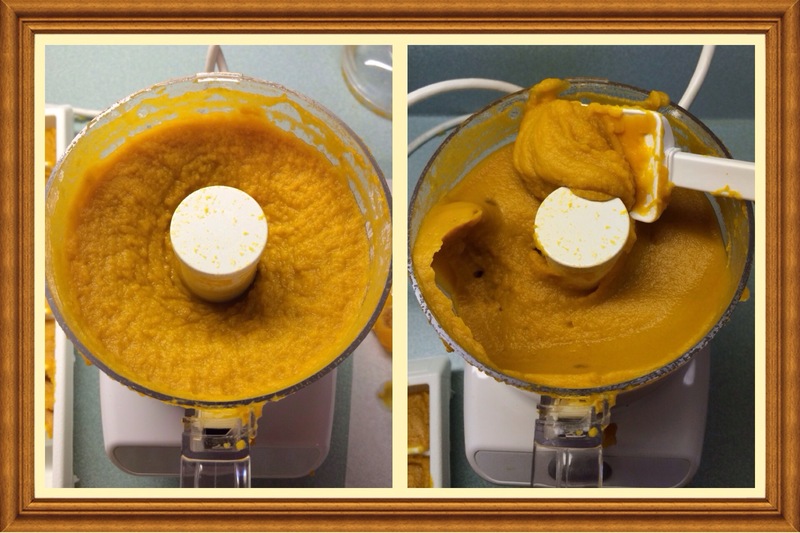 The picture on the right is after you stir them, nice and creamy! 2. I use the snack size storage bags to store 1/4 cup or 1/2 cup servings.